We just went through an intense cold snap here in Saskatchewan, where temperatures hovered close to -40C. Yet, we had no snow. Regardless, it was simply too cold to head outdoors, which means we have to find creative ways to blow off excess energy. Because, goodness knows, my boys have tons of extra energy! 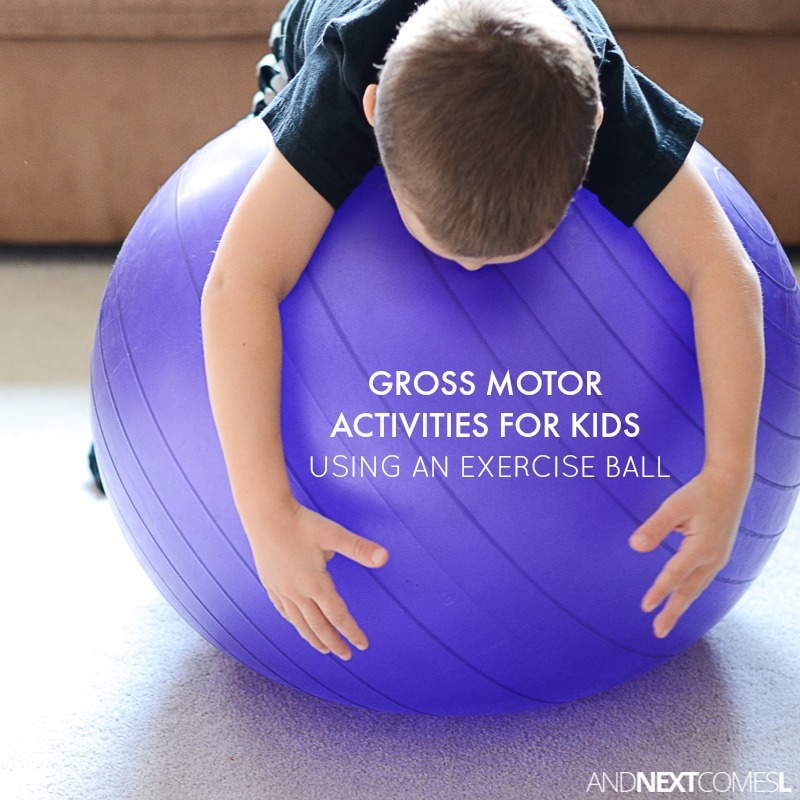 So here are 8 gross motor activities for kids using an exercise ball. Most of the activities double up as therapeutic ideas to provide proprioceptive and vestibular sensory input for kids with autism or sensory issues, which is kind of a must at our house. Bonus, right? 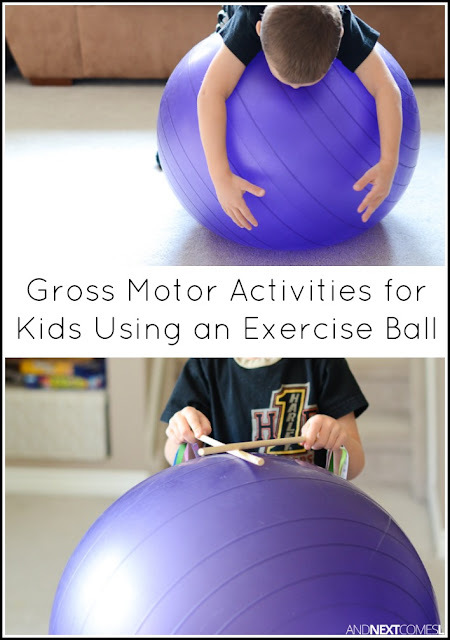 So whether you want a little occupational therapy type inspiration for your sensory kiddos or just need a quick way to burn off excess energy, then all you need to do is grab an exercise ball and try out one of these simple gross motor activities. You might need a few extra materials here or there, but all of the ideas use items that you likely have kicking around the house anyway. How easy is that?